This handy product helps prevent hair loss* and gives your hair volume and vitality. It cleanses brilliantly, and owes its effectiveness to active ingredients of plant origin. Following an ancient Chinese formula, extracts of cinchona, achillea, coltsfoot, capsicum, nettle and vitamins are combined to fight hair loss, offering vitality and shine. This handy product helps prevent hair loss* and gives your hair volume and vitality with every wash.
Hair/Skin:For all hair types, and especially hair prone to breakage or falling out. Direction for use:Rub a generous dose of the product into damp hair, until it forms a soft and creamy lather. Rinse well, and repeat if required. For the full effect, combine with the targeted Bv-Krin phial treatment. Scent:Woody and musky base notes, middle notes characterised by hints of cedar wood and juniper, against which the balsamic and rural notes of mint, eucalyptus and lavender stand out prominently. Suggestions:For everyone who wants to keep their hair healthy, thick and strong. 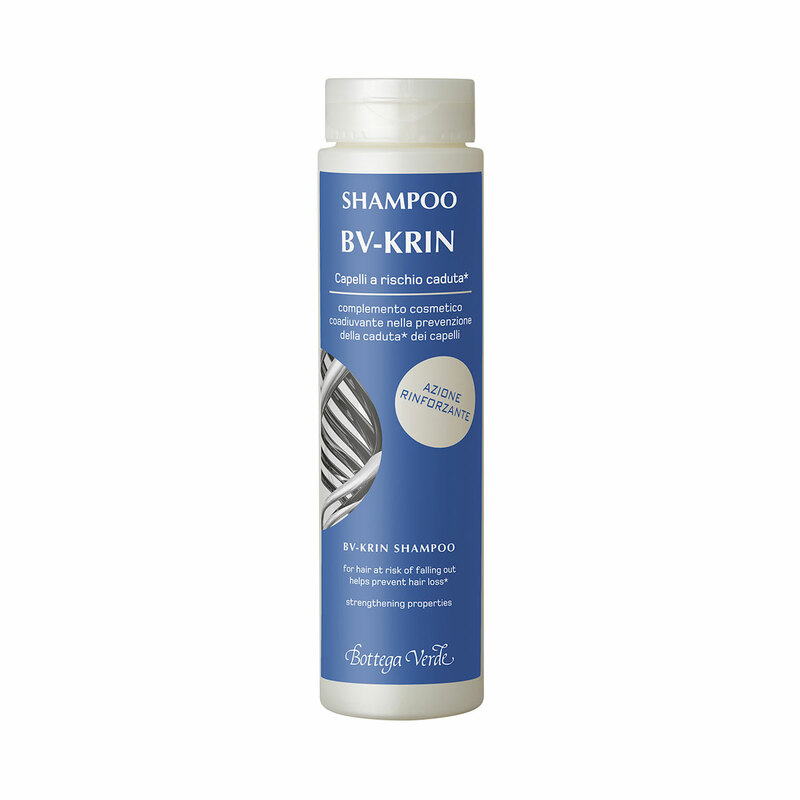 Characteristic:A delicate shampoo with excellent cleansing properties and a skin-friendly pH value.